Brad Armstrong’s real estate career spans over 22 years. Brad, a lifelong Shreveport resident, joined Vintage Realty Company in ­­2004 as an Associate Real Estate Broker. 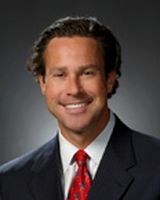 Armstrong received his Commercial Real Estate Sales license in 1991 and his Real Estate Broker designation in 2002. Brad is also a Louisiana Notary Public. Armstrong represents various local, regional and national firms including, Starbucks, Dunkin Donuts and Texaco Lubricants of North America. With his extensive knowledge of the commercial real estate market, Brad is an essential part of the Vintage Realty Company team. He does tenant and client representation of commercial properties including land, retail, industrial, office, multi-family and investment deals. Brad provides his clients with sales, leasing and property management services. He is also an asset manager within the multi-family division of Vintage Realty. Brad attended Louisiana State University in Shreveport, Bossier Parish Community College and Adam’s Institute of Marketing. He continues his education by attending seminars, forums and real estate related courses. Brad has completed the education requirements and is a candidate for his (SIOR) Society of Industrial and Office Realtors designation. Brad is married to Dr. Shelley Schneider Armstrong and has two children. His hobbies include running, biking, swimming and golf. Brad is an accomplished athlete who has completed 10+ marathons and an Ironman Triathlon. To contact Brad, call 318-222-2244 or email him at barmstrong@vintagerealty.com.